Genetic programming (GP) — the application of evolutionary computing techniques to the creation of computer programs — has been a key topic in computational intelligence in the last couple of decades. In the last few years a rising topic in GP has been the use of semantic methods. The aim of this is to provide a way of exploring the input-output behaviour of programs, which is ultimately what matters for problem solving. This new approach has produced substantially better results on a number of problems, both benchmark problems and real-world applications and, has been grounded in a body of theory, which also informs algorithm design and builds interesting links with theoretical computer science and search-based software engineering. There are a number of research groups that are active in this area around the world. This is a growing research area, with an increasing number of publications each year. 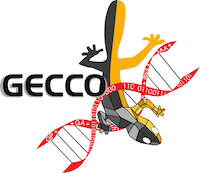 This workshop is the third edition after SMGP2014 organized at PPSN’14, which resulted in this special issue of Genetic Programming and Evolvable Machines journal to appear soon, and SMGP2015 that was collocated with GECCO'15. It will provide both an opportunity to consolidate and extend work in this growing area, and to inform a wider group of people about this growing area of work. We can see these semantic methods being important in other areas of computational intelligence and machine learning, and so this provides a good opportunity for a broader set of conference participants to learn about this growth area. The main goal of the workshop is to foster discussions rather than present finished work. Researchers working in GP and other branches of evolutionary computation are strongly encouraged to participate. the use of formal semantic-related methods in GP. Submissions should not be anonymized and be up to 8 pages long in the Association for Computing Machinery format.